At traditional retirement age, most adults have a third of their lives in which to invest their talents and interests. Many choose to do things they have always wanted to pursue but have not pursued before. The questions are: “How can you continue to lead an active and rewarding life in retirement?” and “What are the activities you most want to pursue?” This workshop will focus on preparing your plan of retirement activities: career options, volunteer commitments, consulting, and home-based businesses, to mention a few. You will learn about assessments that can help you identify activities in which you will find maximum satisfaction. You will have an opportunity to begin your work/leisure plan, including goals and actions important to you as you prepare for your next great opportunity. 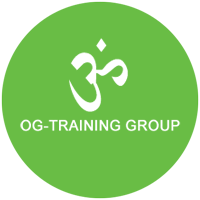 Copyright © 2015 OG Training Group. All rights reserved.